Mardi Gras took on a new meaning March 5, 2019. 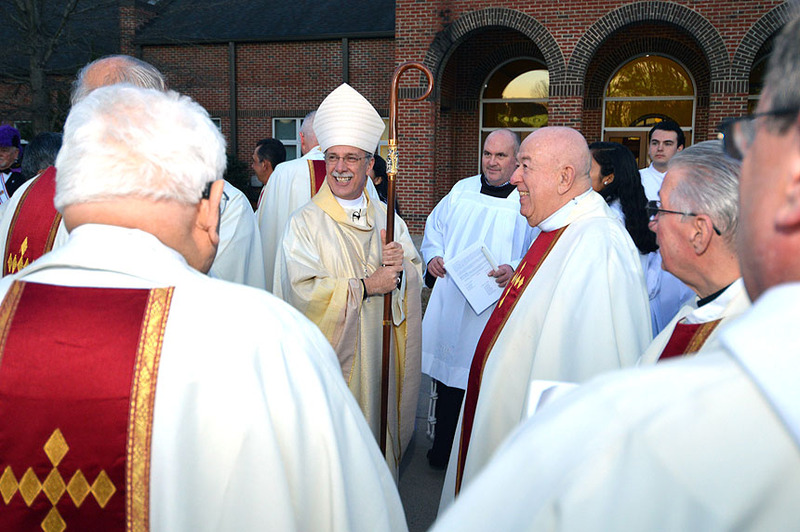 It was, at once, solemn, sacred, joyous and festive as it marked the dedication of the new church building for St. Stephen the First Martyr in Sanford. In the words of Deacon Robert Bridwell, project superintendent of construction, the dedication Mass, was a "grand and glorious" celebration. Bishop Luis Rafael Zarama presided at the Mass, which was attended by hundreds of parishioners and members of the greater community. 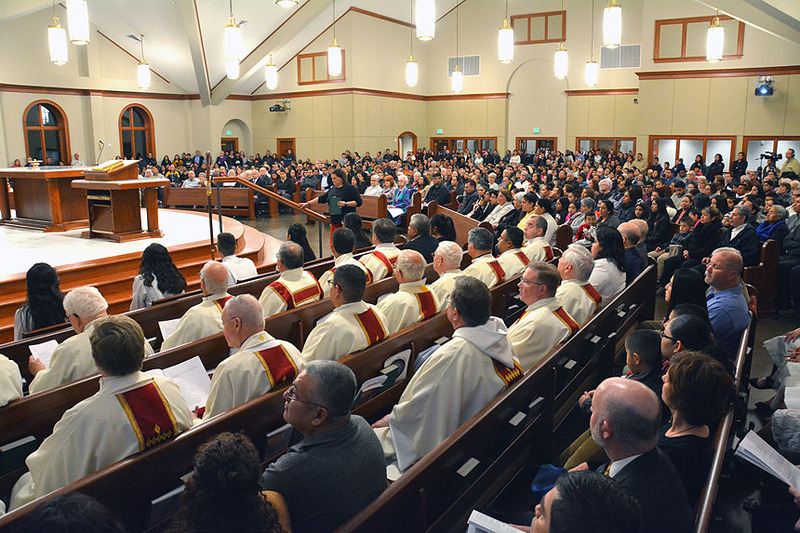 Each seat in the new church, which seats about 750, was occupied and an additional two hundred congregants stood to be present for the historic occasion. Bishop Zarama accepted the key to the new church from Gary Cole, representing the builder, Sanford Contractors, and in keeping with the rite, presented it to Father Robert Ippolito, M.S., pastor of St. Stephen. Priests from throughout the diocese, and from outside the diocese, attended the Mass. Concelebrating with Father Ippolito and Bishop Zarama were, among others, Father Rene Butler, M.S., provincial of the Missionaries of La Salette (the religious order which staffs the parish); Monsignor David Brockman, vicar general of the Diocese of Raleigh; Father Stephen Schott, O.S.F.S., dean of the Fayetteville Deanery; Father Hector LaChapelle, M.S., priest in residence at St. Stephen, and former pastor Father John Forbes, who led the campaign to build the original parish complex at its present location on Franklin Drive in Sanford. 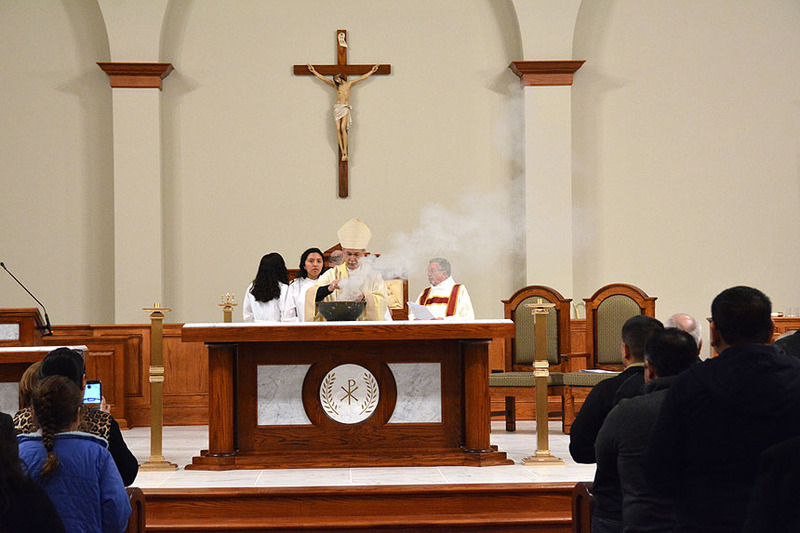 The bilingual Mass included the blessing and sprinkling of water, depositing of the relics, anointing of the altar and the walls of the church, incensation of the altar and the church, and lighting of the altar. Father James Sabak, O.F.M., director of the Office of Divine Worship for the diocese, served as master of ceremonies. Stephen Roman, David Kirkland, Alex Aguilar and Ramiro Rosas led the musicians, cantors and choirs who collaborated to produce music that was both joyful and reverent. Hispanic parishioners, who represent a large and diverse number at St. Stephen, contributed a great deal to the construction project. Pews in the new church, as well as choir chairs, were purchased with funds raised at the annual parish festival, and other events, including many food sales. A generous bequest from the estate of Marie Profio was instrumental in getting the project off the ground. The growth and evolution of St. Stephen the First Martyr Parish mirror that of the diocese in many ways. In 1930 the first bishop of North Carolina, William J. Hafey, was traveling through Sanford and recognized the growing Catholic community by sending priests from adjacent parishes in Raleigh and Fayetteville to serve their spiritual needs. Shortly thereafter, a property was purchased to serve as a chapel and residence for visiting priests. This chapel became known as St. Marcella. In 1942 a group of 14 women from the segregated African-American community, with the fundraising help of [then] Monsignor Fulton Sheen, worked to build what became Our Lady of Lourdes. Ultimately the two chapels merged to become St. Stephen the First Martyr. Honoring that history, longtime St. Stephen’s parishioner Vesper Brown, who was the first baby baptized in the Chapel of St. Marcella, was chosen to deposit the relics in the altar of today’s new church. At the end of the dedication Mass, Bishop Zarama led the community in honoring Father Ippolito with a standing ovation to express gratitude for his pastoral leadership and hard work completing the new church. Father Robert, who had previously led construction of the new church at St. Brendan the Navigator in Shallotte, jokingly addressed the bishop, “Your Excellency, this is my second such gift to the diocese. I don't plan to stick around for a third." When the Mass ended, the celebration continued into the new social hall (previously used as the worship space), decorated in vibrant colors. 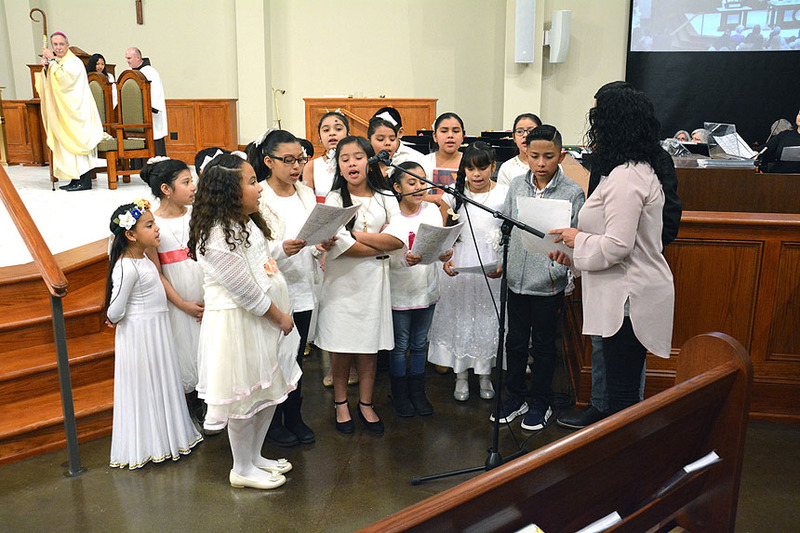 Music, dancing, performances by children of the parish, and a wide variety of food carried on the strong sense of community. 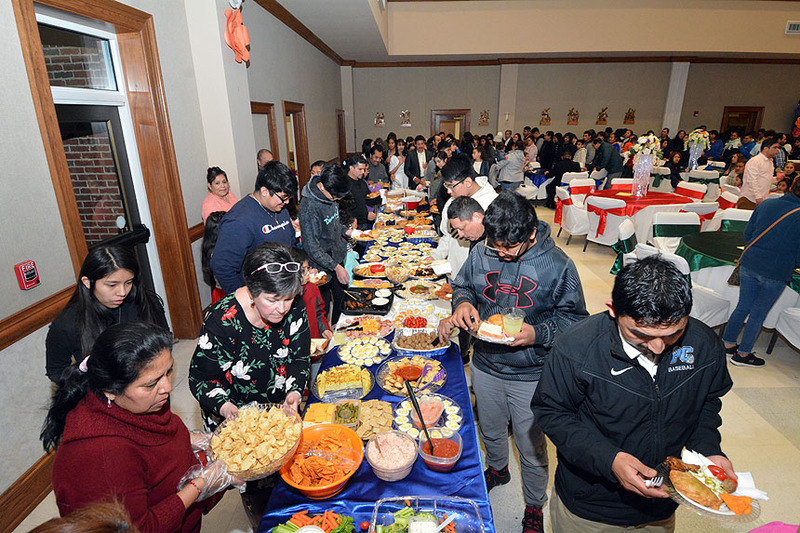 Organized by the director of Hispanic Ministry, Martha Brunson, and parishioner Patty Hardesty, the reception capped the evening in its strong spirit of unity and deep gratitude to God.